We’d love your help. Let us know what’s wrong with this preview of Severance by B. Pine. Two wards are gone! Will the others stand a chance without them? The Syntrea and Academy massacres were averted thanks to the wards, but they have suffered a serious setback. Rohen has fled the Academy with Galen to save her from Humo, leaving the others behind, stunned and struggling to deal with their loss. Humo's terrible plan has failed, but the evil Headmaster is unaw Two wards are gone! Will the others stand a chance without them? The Syntrea and Academy massacres were averted thanks to the wards, but they have suffered a serious setback. Rohen has fled the Academy with Galen to save her from Humo, leaving the others behind, stunned and struggling to deal with their loss. Humo's terrible plan has failed, but the evil Headmaster is unaware. He believes that Galen is dead. And now her brother Ben is his next target. The dragons now watch closely, waiting for the opportunity to strike while the wards are apart and vulnerable. Rohen and Galen are gone. Megan must take on yet more training to defend herself against the drui. Jamu must complete his first year scouting assignment. And with Ben busy trying to wrest control of the mage's college Arcanum from the Academy, it is up to Princess Jania to find a way to keep her country safe and the Academy Headmaster under control, while also successfully completing her last year as a student mage. But how can she accomplish such a feat without her friends by her side? 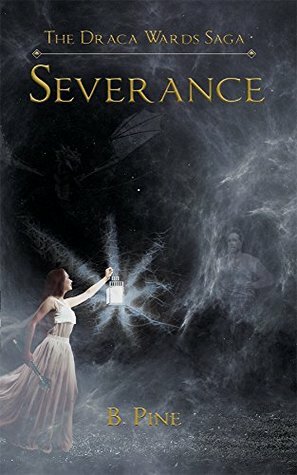 To ask other readers questions about Severance, please sign up.